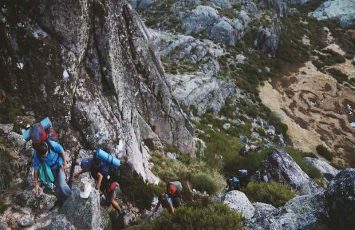 If you are a nature lover but are worried about attempting too difficult mountain climbing trails or multi-day hikes, here’s a little list of some achievable hikes for the young at heart and spirit. A visit to Komodo National Park in Indonesia is a must for any traveler that loves breathtaking nature, stunning views, fascinating animals and a crystal clear sea. The highlight of my trip to Komodo National Park was the hiking at Padar, an island of the Komodo archipelago that is included in most of the boat tours to the national park. The start point of the adventure is Labuan Bajo, a fisherman village from where most of the tours depart from. After a couple of hours cruising the crystal clear water and mesmerizing views the boat docks in this tiny beach and you are ready to start the hiking. It took us less than 1 hour to hike from the beach to the top of the trail. The way was easy, but the heat and sun made the experience a bit hard. But don’t give up, the view from the top is to die for. Seriously, after 5 years of non-stop traveling and countless hiking, Padar Island is still one of my favorites hikes and one of the most beautiful places I’ve ever been. For hiking, you need a good pair of shoes (trekking boots or runners), a hat and water. Super easy even for beginners, and don’t be worried, there aren’t dragons in this island. A word of caution, traveling to Komodo National Park demands a lot of planning but doing the activities and hikes there are quite easy. 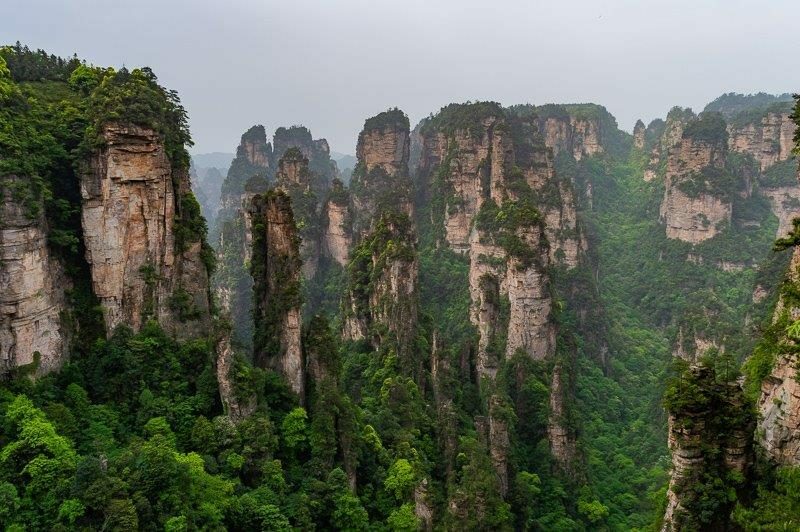 Zhangjiajie National Forest Park is an unforgettable display of natural beauty, fascinating sharp and jagged sandstone peaks emerging through thick jungle. Historically, Zhangjiajie National Forest Park was China’s first official National Park. Now, this much sort after nature wonder is one of several National Parks with the Wulingyuan Scenic Area. The main park entrance is an hour bus ride from the city of Zhangjiajie. There are many trails that weave through the mountainous peaks, such as the Golden Whip Trail, that leads hikers along the valley floor as the sandstone giants tower all around. There are many different tracks you can go off course to explore as you work your way up in elevation, involving a lot of vertical and seemingly endless stairs to climb. 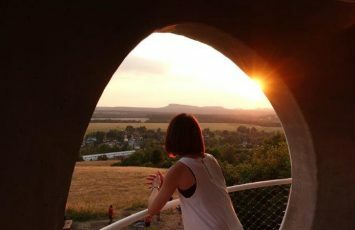 Making your way to the “Avatar Viewpoint” is one of the most picturesque, but also one of the busiest spots in the park, so do try to avoid travelling during high seasons and popular timing of the day. This lookout point is the inspiration for the movie Avatar, hence gives you a surreal out of the world feeling. If you’re tired of walking, the 335 meter high Bai Long Elevator gives great views as you ascend into the clouds. Walking this exhausting and slightly slippery stairway gives unforgettable views and experiences, as you can spot a large number of monkeys swinging from tree to tree over a few hundred-meter drop. All up, if you’re looking for a one of a kind experience, Zhangjiajie National Forest Park should be high on your must-see list for China. 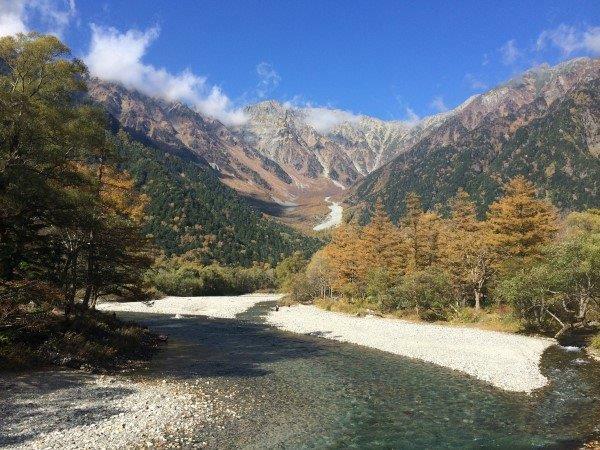 Kamikochi National Park in the heart of the Japanese Alps provides superb hiking for beginners. The central valley, where you drive or take the bus into is pretty flat and has extremely well-made trails. Kamikochi hiking routes are clearly marked and there is a range of small rest points to take breaks, get a hot (or cold) drink and have a picnic lunch. You’ll cross the river several times on connected trails and there are many spectacular photo opportunities along the way. Hikes here tend to be in a loop so it’s possible to link several together to go a little further if you so desire. There are also great options for staying overnight in the park to continue your explorations. The information centre at the park entrance provides free maps and advice on routes – they specifically ask what your hiking experience is and how long you wish to hike for. Have you ever hiked up a volcano?! Mt. 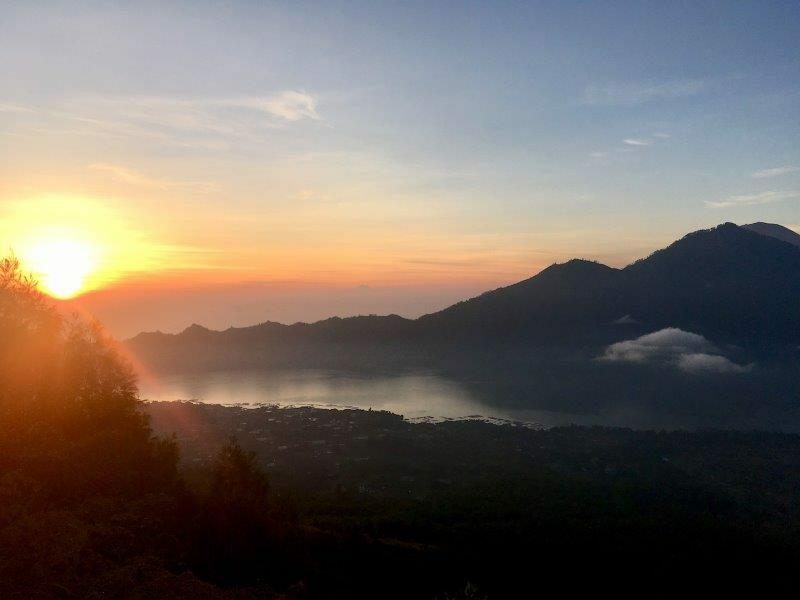 Batur Volcano Hike in Bali, Indonesia is definitely one not to miss. This hike is unique in that you hike up in the very early morning, way before the sun rises. That way, you will reach the peak to watch the sunrise, which is a beautiful sight. The hike is a bit long, and will take some strength, as its all uphill. We recommend eating a good breakfast before heading up and dress in good insulating layers that can be easily added or removed. It can be very chilly on the way up, and hot on the way back down. The way down is actually much easier. For this trail, you can hire a tour guide to take your group up as well. The sunrise over the peak is an amazing spectacle, but that’s not even the best part yet. The ground at Mount Batur is very hot and even has steam coming out of random cracks and holes in the mountains. It’s something we have never encountered before and was pretty awesome to be on a volcano that was still somewhat active. If you are feeling more adventurous and energetic, there are lots of other little hikes around the top where you can explore the volcano too. Mount Batur is definitely worth getting up super early to experience this majestic place. 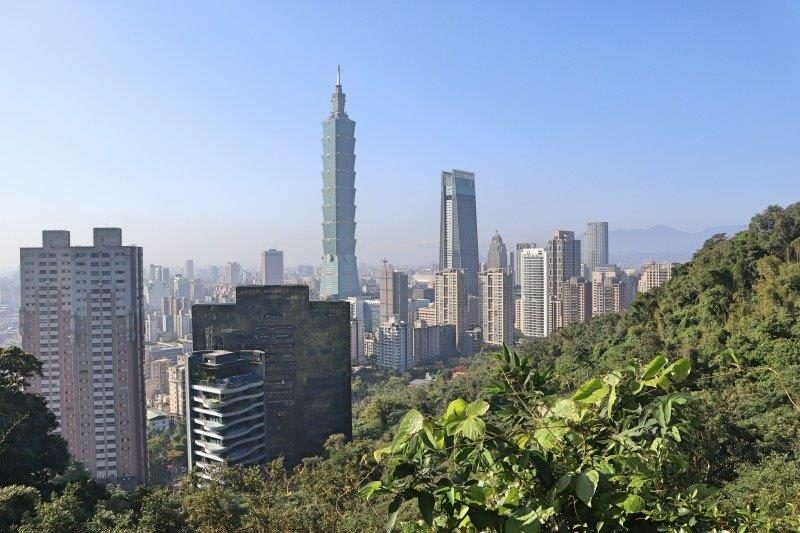 If you’re visiting Taipei city in Taiwan, then a day hike up to Elephant Mountain will give you a unique perspective and stunning views of this fantastic city. The hike begins a short walk from Xiangshan Station, and there are well-marked signs of how to reach the trail. It’s straight up from here, 500 vertical steps until you reach the viewing platform which gives you fantastic vistas of the Taipei 101 building and the Taipei skyline. From here the trail splits into several more sections, so if you have more time you can wander further into the forest at Elephant Mountain, you may even spot monkeys if you’re lucky! You should be able to complete the round trip in less than an hour, longer if you plan to visit some of the side trails. It can be tough going, particularly in the heat and humidity of Taiwan’s summer months, but our young kids managed to hike this trail easily so it’s definitely a great family activity to do in Taipei. Be sure to bring a water bottle with you. An ideal time to do the hike is in the late afternoon, that way you can see the skyline during daylight then watch the sunset and city lights come on. Be sure to bring a torch to help light the path on the way back down! 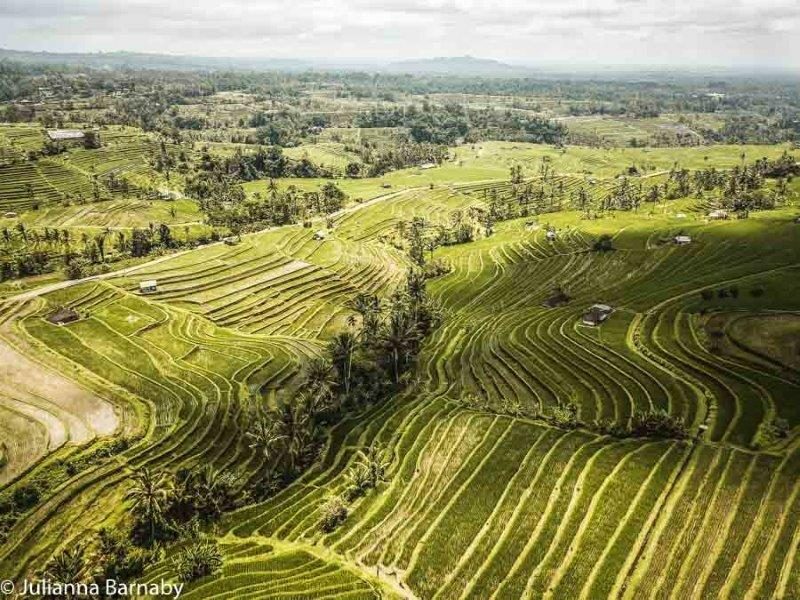 The Jatiluwih Rice Terraces are one of my favourite places in Bali and one I’d recommend you to consider if you would like to do a day trip excursion out from Ubud. An alternative to the much-talked about Tegalalang Rice Terraces, the Jatiluwih Rice Terraces much quieter and just as, if not more, striking. You can hop on a tour that takes you to the terraces for a few snaps, but that’s nothing compared to exploring the fileds on foot. There are several trails leading from the main parking lot – pop into the visitor’s information for the low-down on each of them. 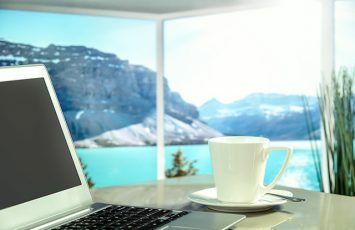 The terraces are massive in scale, so it comes as no surprise that the trails vary significantly in length – from all day affairs to shorter hikes that take a few hours. I opted for a relatively short 2km trail, which is short but still long enough to take you away from the crowds and into the heart of the terraces. 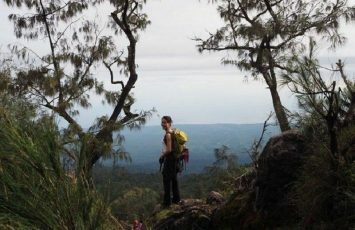 You start on a concrete trail – where you can catch some rather spectacular views of the terraces with Mount Agung in the distance – before you wind down onto a smaller dirt trail that passes through the terraces themselves. It’s an easy trail and suitable for all levels of hiker – the big draw here is the views rather than any technical challenge. Although there are a few vendors along the way – be sure to bring plenty of water. There isn’t a lot of shade in the terraces and it can get very hot. You should also wear covered footwear as there can be snakes lurking along the trail. The two-hour hike to the crater lake at the top of Mt. Pinatubo is surprisingly easy and essentially flat. The scenery along the walk is very stark and desolate. Some people find it beautiful in an otherworldly kind of way. The 1991 eruption of the volcano created a “lahar”, which is a destructive mudflow of rocky debris, volcanic material and water. It kind of looks like landslides tore through the area, ripped out half of the trees and poured dirt all over the mountainside, which is basically what happened. The crater itself, however, is quite breathtaking, with cliffs rising from all sides of a gorgeous lake filled with turquoise-colored water. The brilliance of the lake contrasted with the colourless volcanic landscape surrounding it is a striking image. Capas is the nearest town, and you’ll be able to find accommodation and local Philippino food here. It’s also possible to visit Mt. 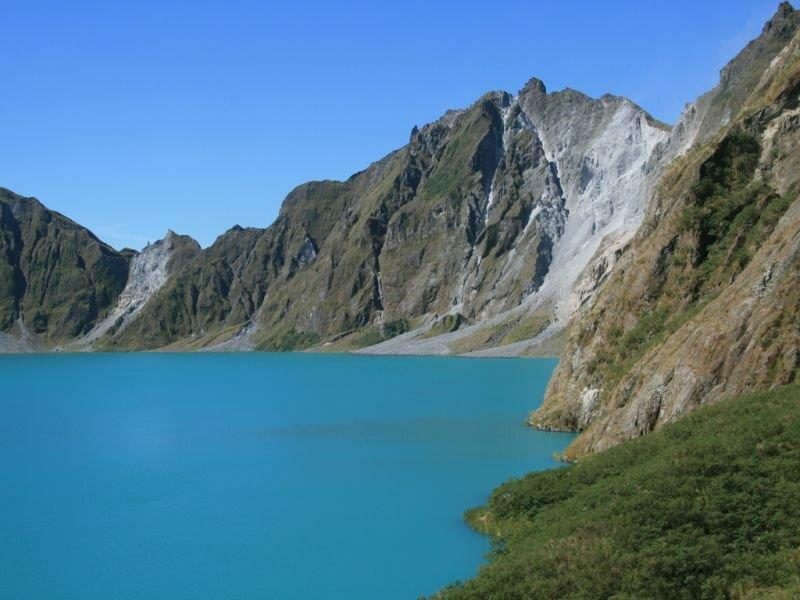 Pinatubo as a day trip from Manila on a guided tour, which is what most visitors do. Visitor numbers do increase greatly on the weekends, so try to time your visit to fall on a weekday if you’re seeking peace and quiet. The main reason most people travel about as far north in Vietnam as you can, is to hike through the stunning rice terraces and catch a glimpse of unique cultures of this part of the country. Only a few miles from the China & Vietnam border is home to some of the best hiking in the country. If you are up for a hike through unique landscapes of rice terraces and tall mountains, you should put Sapa on your list. 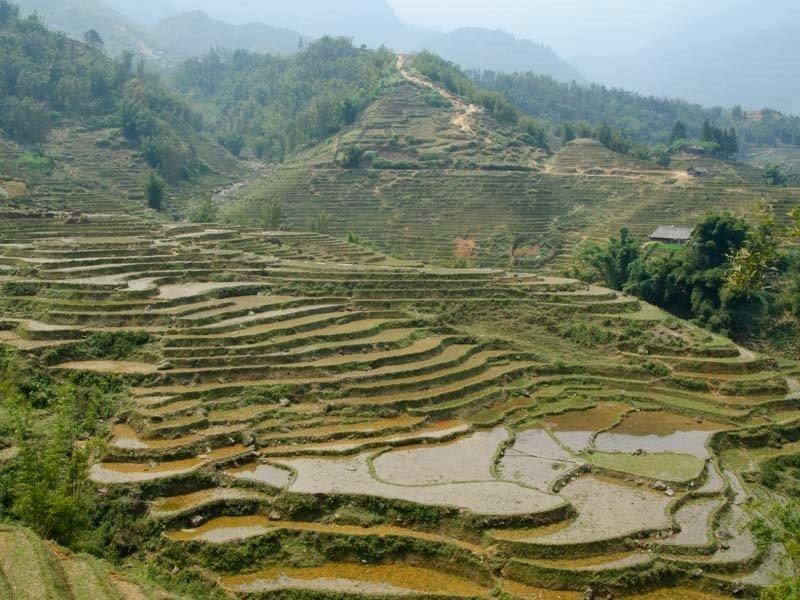 However, what makes this hike so unique is the chance to see some of the interesting cultures found near Sapa. Here you’ll run into several minority tribes of people and even have a chance to spend the night or eat a meal with them if you choose. In Sapa, there are many variations you can choose when picking a hike. Generally, most of the hikes are not overly difficult. There are some minor hills – but the steep accents are not very common. There are many single day treks (7-8 hours round trip) that can be done guided or some unguided. You can also choose a multi-day hike in Sapa as well, while some of the routes will be similar these are generally guided and can take 2-3 days. A hike around Sapa, Vietnam is sure to be a trek to remember. Description: Many people come to Penang and only stay in George Town, a UNESCO Heritage Site that became popular for its street art, hipster cafes, and vibrant art scene. Few tourists leave the center of town, failing to experience Penang’s beautiful nature. However, Penang Hill, a popular former British hill retreat is now much easily accessible as locals and tourists can climb it today using a funicular train (RM 30 return). But for those who really want to experience Penang’s jungle, there are many hiking trails starting at the bottom of Penang Hill. A very quick yet rewarding hike starts near Penang Botanic Gardens, at the Chinese arch called “Moongate”, which was once the entrance of a local tycoon’s home. From here, a long and tiring staircase climbs up to Station 5, a hiker’s rest area equipped with gym machines and popular with locals. The trek, which takes between 30 minutes and 1 hour depending on your fitness levels, is much more rewarding if you take a shortcut through the forest to Moongate Station 5. It’s an uphill slog through a forest path that climbs over rocks and tree roots, and you must be prepared to sweat a lot, but the views and the sounds of insects and birds are great. At midway, a big boulder hides a small cave where you can see bats. It’s easy to spot monkeys in the trees, including the rare dusky leaf monkey, which has cutesy white circles around the eyes. At the end of the hike, you can rest at Station 5, where the local hikers generously offer tea, water and coffee. You may want to help them by carrying up one of the bags of concrete they often leave at the beginning of the trail: the place is constantly expanding to welcome more hikers. The hike up to the top of Phi Phi Island is quite easy and the view is spectacular. The way up goes via stairs that takes about 20-30 minutes to climb depending on your speed. When you get to the top, you can enjoy the view of the beach and natural passage to the other side of the island. It is not everywhere in Thailand that you can get impressive views with just a short climb. Many places in Thailand that offers views are either much higher up in altitude or requires a lot more steps to climb. 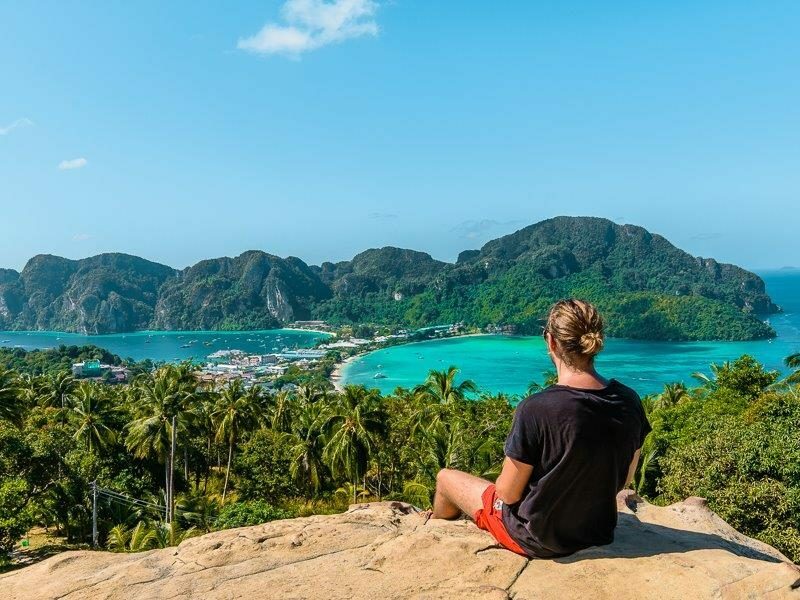 Phi Phi viewpoint is elevated at just 186 meters, so you get a fairly easy hike that is fun to do with friends and family, or even relaxing for yourself. Just remember to prepare plenty of water to bring with you. I would also suggest to visit this place as early in the morning as possible. Not because of crowds, but because the temperature/ humidity and sun will make it less enjoyable. If you hike during the early hours in the morning, like before 10 am, you will find it much more enjoyable than if you do the climb after 12 pm in the noon sun. There are plenty of signs all along the trail, so no matter where you are on the island, it is easy to find the stairs up. 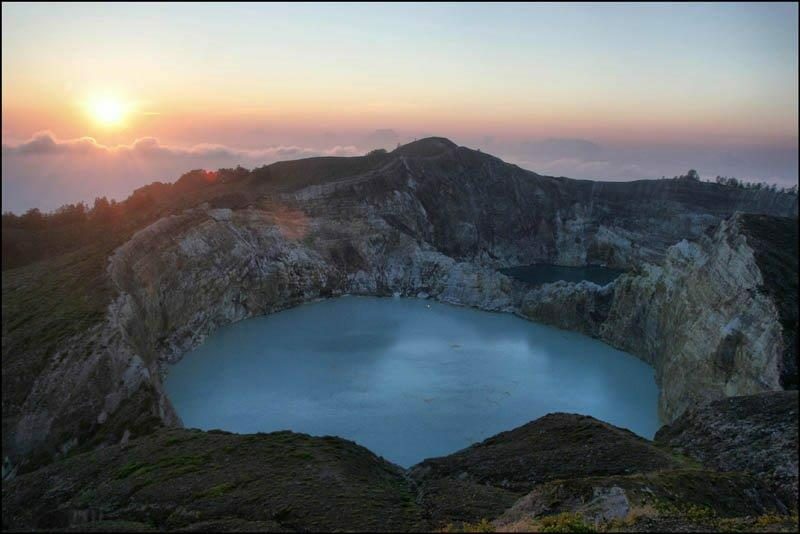 Mount Kelimutu is located close to the small town of Moni in the south of central Flores, about 40 kilometers northeast of Ende. If you take the hike to the top of this volcano, you’ll find three crater lakes in different colors – and those colors change unpredictably from blue or green to red or black, making it a unique natural phenomenon The chemical reactions and gases formed inside the volcanoes are responsible for these color changes. Also, it’s a spiritual and sacred place for the local people. They consider it as a resting place for the departed souls. This trek can be completed in about 3-4 hours and isn’t technically difficult. I recommend that you take the shortcut at Rainbow Café, and follow the uphill trail that will take you to the Kelimutu National Park entrance. The main viewpoint is located at 1,620 meters high, offering a great panorama of the three lakes and the surrounding volcanoes. 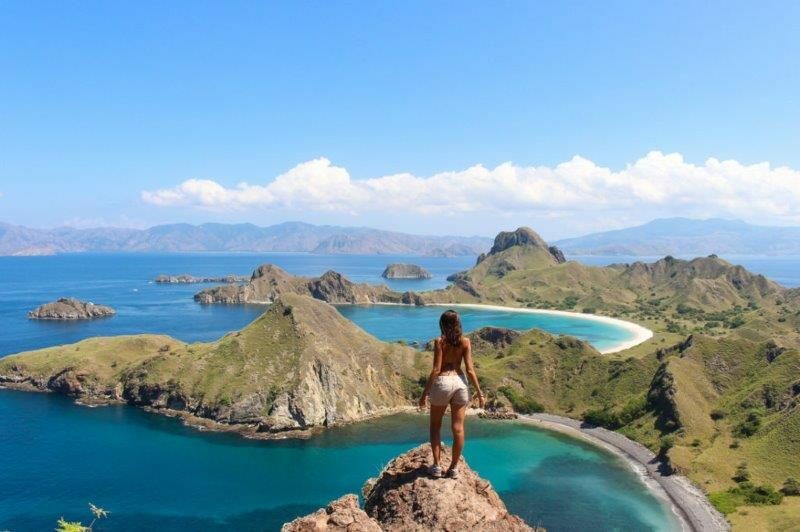 Don’t miss this amazing day hike as it’s one of the best things you can do in Flores. The Tiger Leaping Gorge was one of the best treks we did in Asia. 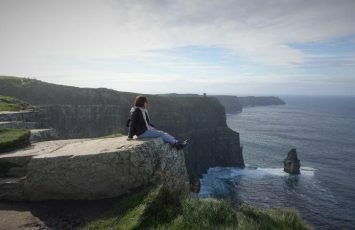 It is not only notorious for being one of the best hikes in the world but also famed for having one of the deepest gorges. To give you an idea, at their highest point, the mountains on either side of it reach over 5,000m (16,404ft). The hike goes along a dirt path walking through the small rural villages where the minority tribe of the Naxi people live. The trail begins at Qiaotou and you will end off at “Tina’s Guesthouse”. The Tiger Leaping Gorge hike is as easy as you want it to be. It’s a total of 22km (13.7m), which you can either do all in 1 day or break it over 2/3/4 days, staying at one of the guesthouses along the way and using them as a base to explore more of the surrounding area. The mountain views along the trek are spectacular, passing lots of waterfalls and nature. 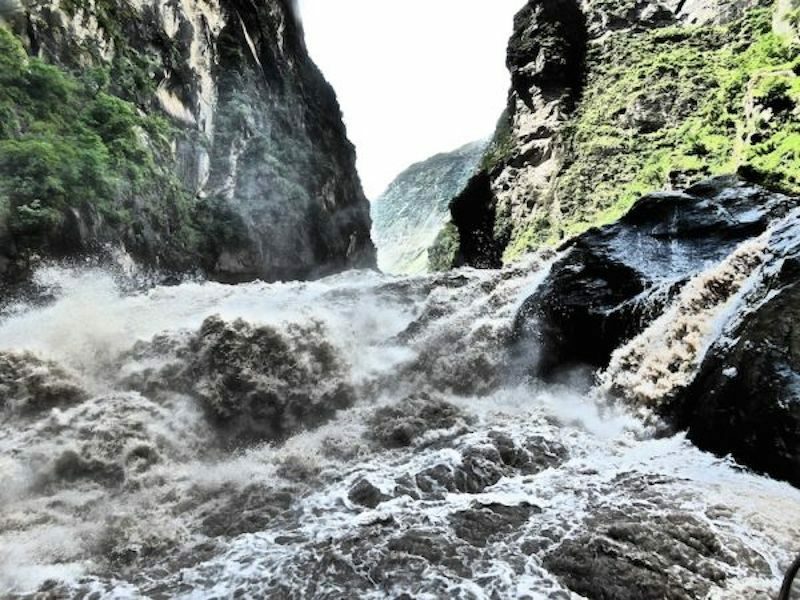 The climax is where the gorge reaches its narrowest point in the Jinsha River (25 metres / 82ft wide) where the rapids are so powerful. The name of this hike comes from an ancient Chinese myth that a tiger jumped from this exact point to safety while being chased by a hunter. Penang National Park, more commonly referred to as Taman Negara Pulau Pinang by the locals, in terms of scale, is the smallest national park in Malaysia at 28 square meters, however, it packs quite a diverse range of sights and activities. Within this tiny national park are beginner-friendly hiking trails and paths that lead to golden-sand beaches, jungles, and fishing holes. An hour and a half away from the popular UNESCO World Heritage Site and city of George Town, it can be reached by taking the 101 bus which goes along the coast to Teluk Bahang. Expect to pay 2.50MYR for a one-way trip. 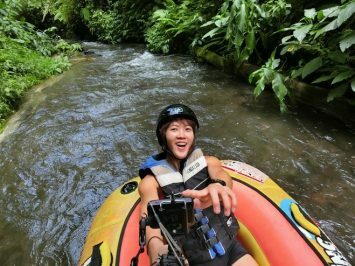 There is no entrance fee for Penang National Park, however, expect to find a crowd of local guides offering tours and transportation around the park. You can just take a map and be on your way or you can pay for a trip to Teluk Duyung (Monkey Beach) for 50MYR (which is less than 11EUR) and up to 130MYR for other destinations. It may be a small national park, but not all the treks are easy, so make sure to wear comfortable shoes with a good grip. With the crazy tropical heat and humidity, a bottle of water would come in handy. 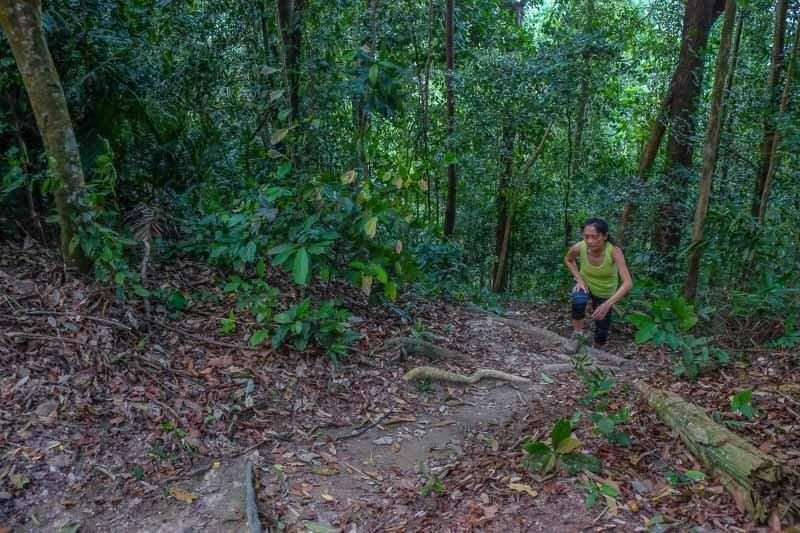 For an easy trek along the coast, follow the trail to Teluk Duyung (Monkey Beach). From there, you can decide if you would like to take on the steep climb to Mukha Head Lighthouse. The more challenging trail leads to Kerachut Beach. 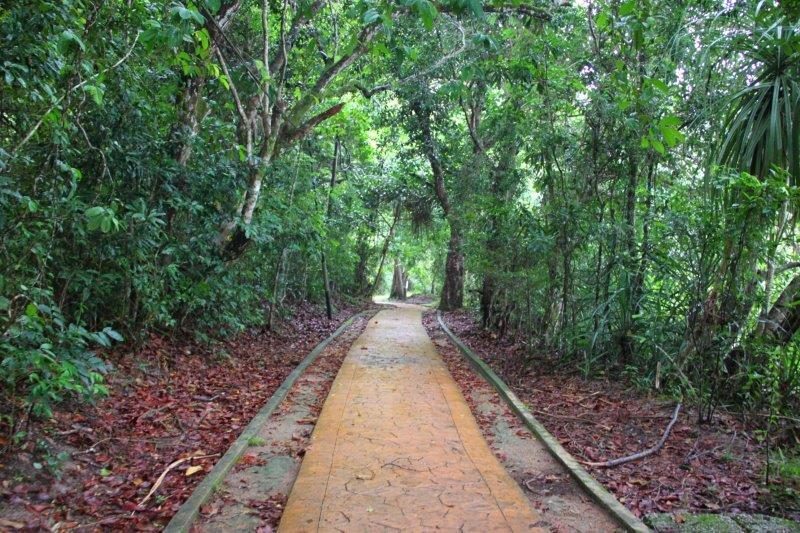 Taking this path will lead to the meromictic lake (where the seawater and freshwater create layers that do not mix) and the lovely ePenang Turtle Sanctuary. Hence concludes the top 13 hiking trails that will be perfect for anyone, from families to solo travellers to beginner hikers. Which one is your favourite or do you have something even better to recommend? I love this article because the hikes are all so diverse! You’ve got calming lakes, gorges, rice fields and cityscapes. Such a great listing and the fact that they’re good for beginners is another plus! It’s so hot in Asia that I find long treks really tough. Thanks for sharing! Thanks Natasha for your sharings! Indeed it’s really hot to climb in Asia sometimes, but better the sun than the rain clouds isn’t it. Having said that, always goood to still carry a poncho!!! 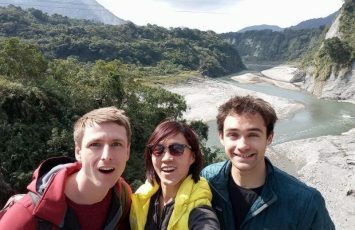 Great list of diverse hikes in Asia! 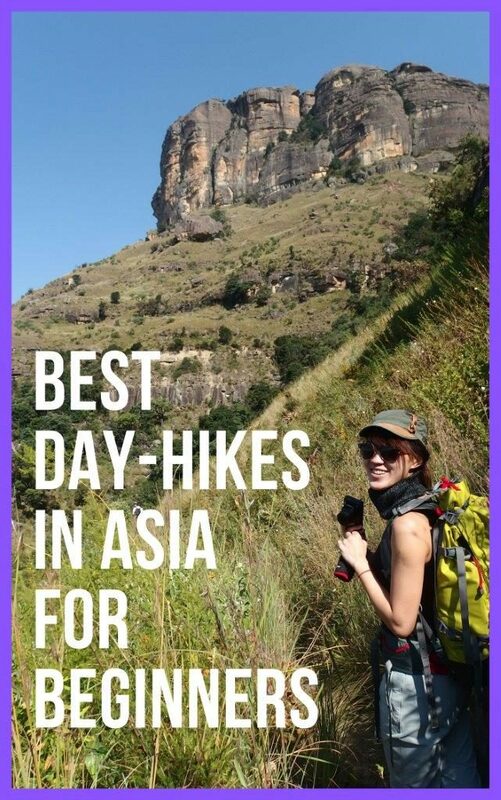 It can be tricky finding out info about Asia hikes, so thanks for pulling this list together. Would love to do the China hikes! 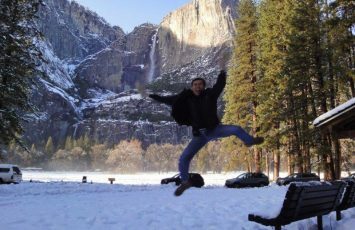 Yes indeed, China is incredible for yhe great outdoors and hiking. But reminder to be extra careful and take safety precautions before each hike!